Marion W. Beecher, passed away on Tuesday, February 22, 2011. She was the loving wife of Ellsworth M. Beecher for 64 years. Born August 10, 1922 in New Milford; the daughter of the late Willard H. and Mary (Derby) Weeks. Marion was a resident of Winchester Center for over 65 years. She was the last teacher for the Little Brown School in Winchester Center. When that school was closed she taught at the Hinsdale School in Winsted. She was one of the first teachers at the Batcheller School when that opened in 1959. She retired from teaching in 1977 and started a second career as secretary for the Connecticut State Grange, a position she held for over 30 years. Marion was a member of Winchester Grange #74, Mt. 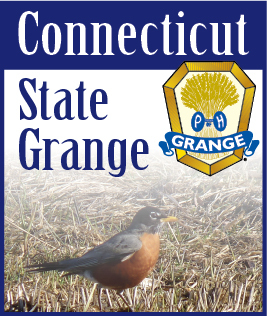 County Pomona Grange #4, the Connecticut State Grange, the National Grange and the Assembly of Demeter. She was a founding member of the Women's Auxiliary of the Winchester Center Volunteer Fire Department. As a member of the Winchester Center Congregational Church she served as secretary and sang in the choir for many years. In addition to her husband, she is survived by a sister, Barbara Gagnon of South Carolina; a brother Willard J. Weeks of Oregon; many nieces, nephews and friends. She was predeceased by a sister Frances Kozlowski. A Memorial Service will be held on Sunday, March 6, 2011 at Winchester Center Congregational Church at 2:00 PM. There will be no calling hours. Montano-Shea Funeral Home, 922 Main Street, Winsted has care of the arrangements. In lieu of flowers, donations may be made to Winchester Grange #74, PO Box 155, Winchester Center, CT 06094 and/or Winchester Center Congregational Church, PO Box 200, Winchester Center, CT 06094.